The indie feature, which first had a domestic theatre run in 2010, is being released on iTunes and south of the border on the inDemand VOD service. Multiple Canadians have been invited to join the organization that hands out the Oscar Awards. The purchase includes all prior TV series, specials and the first two feature films but excludes the yet-to-be-released third feature. 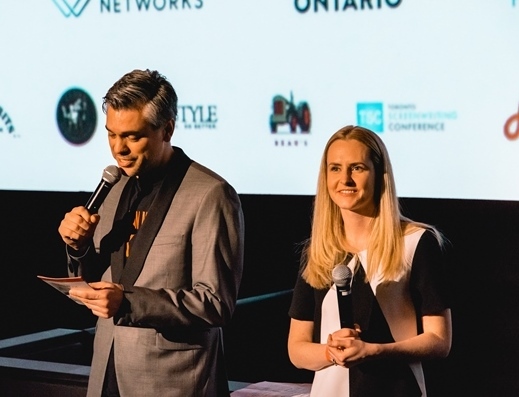 The list of 74 new appointees includes seven from the screen production sector, including Paul Gross, Deepa Mehta and Lea Pool. The deal covers the period 1993 and 2012, and includes shows such as Wheel of Fortune and Breaking Bad and films Legends of the Fall and Hotel Transylvania (pictured). A total of 14 projects are splitting $1.6 million, the Independent Production Fund said Thursday. RTL Group, which owns FremantleMedia, has invested $36.7 million in the Vancouver-based company founded and led by CEO Shahrzad Rafati (pictured) as part of an expansion of its digital distribution plan. As well, industry veteran Chris Frank has been appointed to the board as Cousineau (pictured) replaces outgoing chairman Louis Roquet.